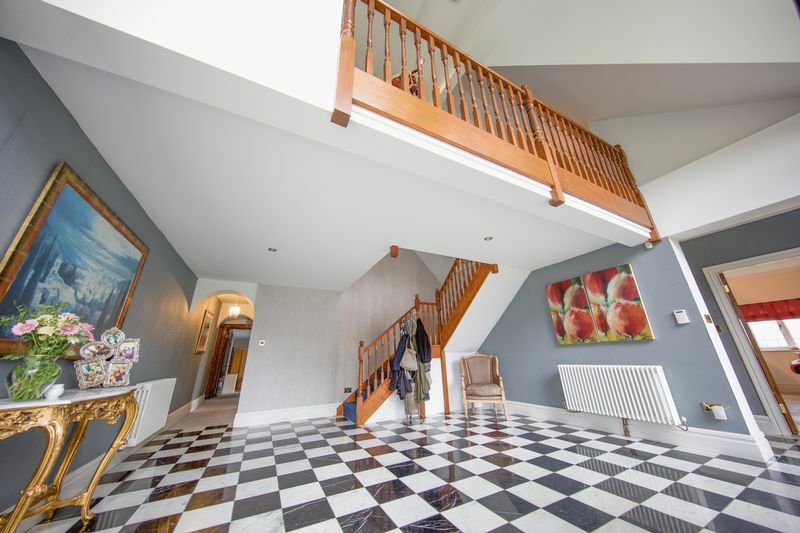 Allostock Grange is stunning detached five bedroom family residence finished to an exceptionally high standard. 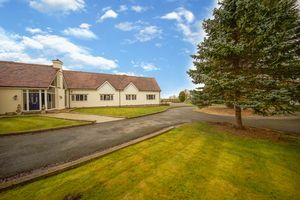 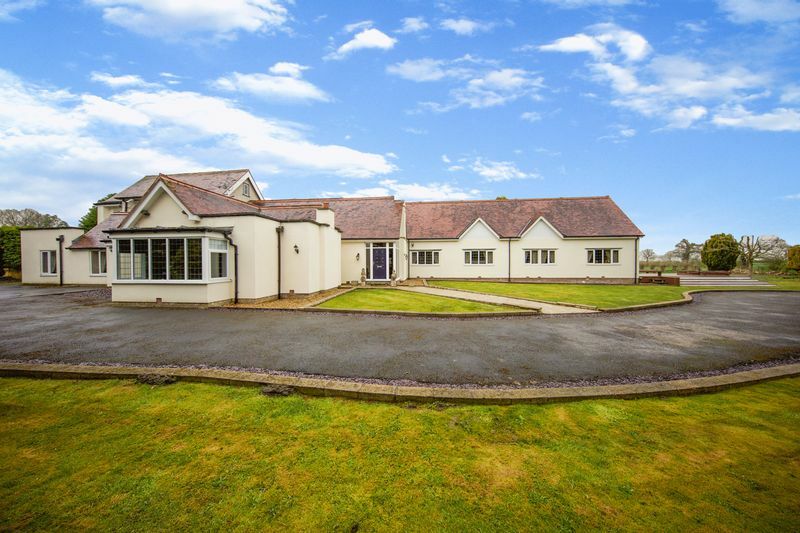 The property is nestled behind secure gates in approximately 1.45 acres of mature gardens offering far reaching rural views. 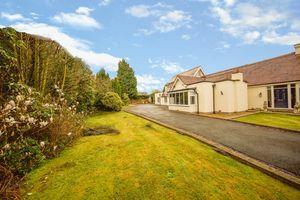 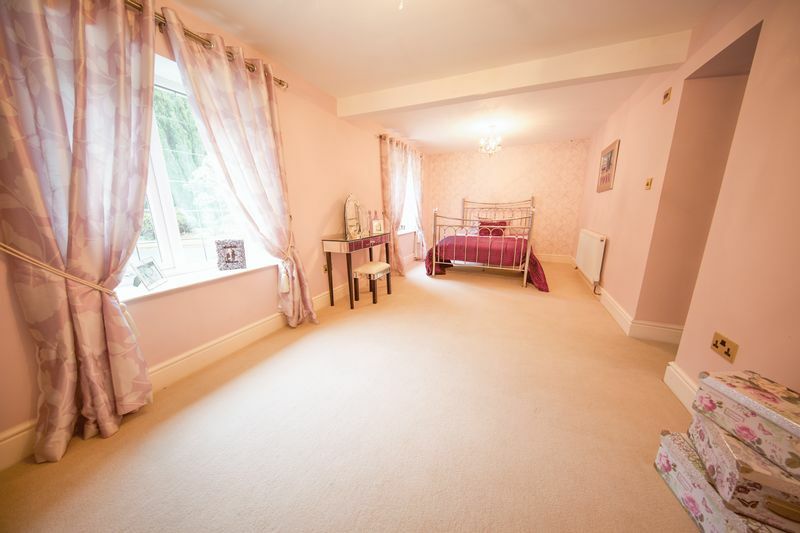 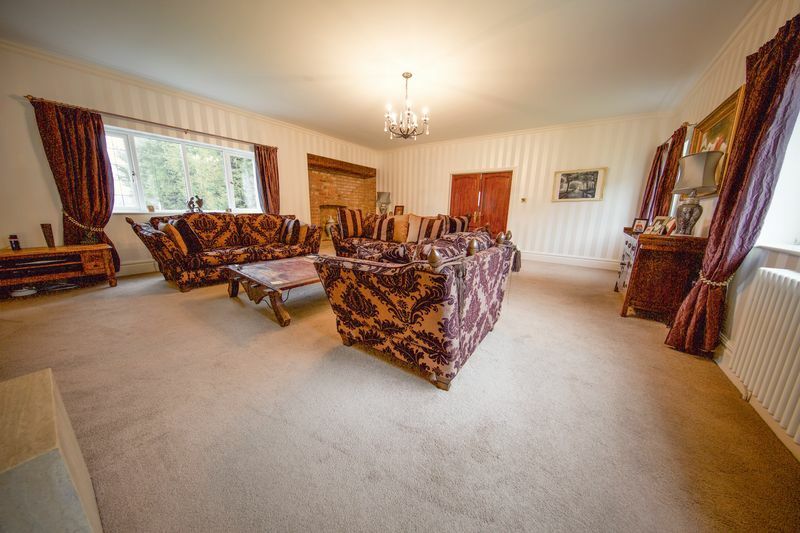 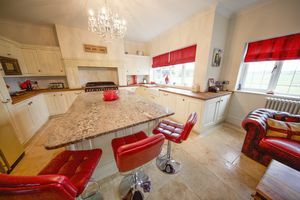 The property is conveniently located between Knutsford and Holmes Chapel with Knutsford being approximately 4.5 miles away and is a charming old-world market town with many historic associations. There are excellent shops, schools, recreational facilities and railway links. 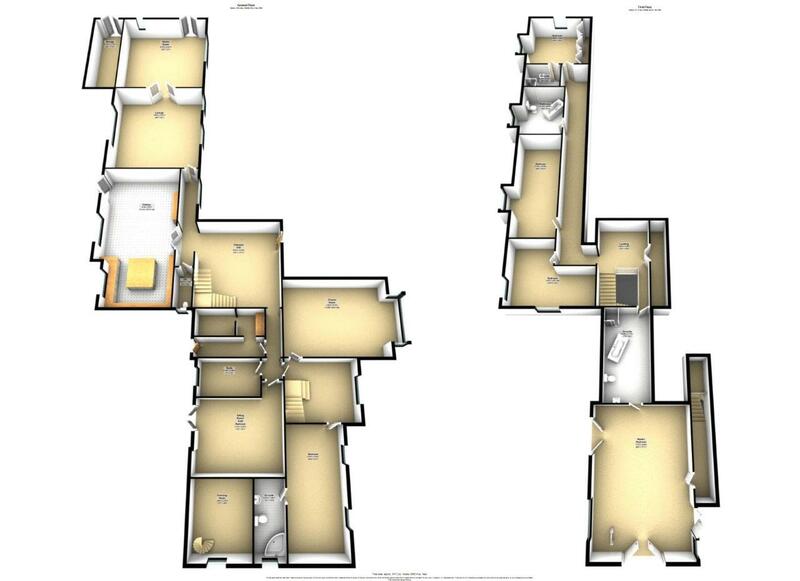 The interior of the house combines a high quality contemporary design both light and spacious. 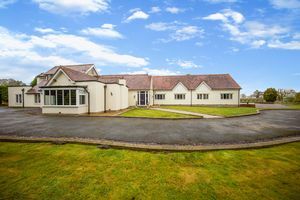 Inspection will reveal the high quality specification - with no expense having been spared to create an exceptional house. 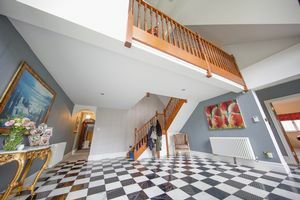 The accommodation opens with a large entrance hall with a spacious atrium and impressive gallery landing. 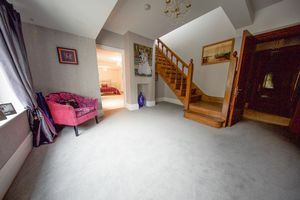 A bespoke staircase rises to the first floor. 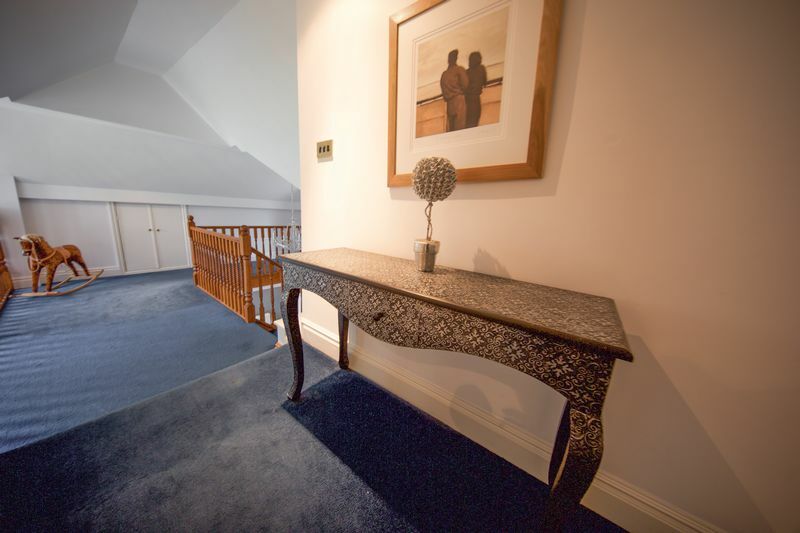 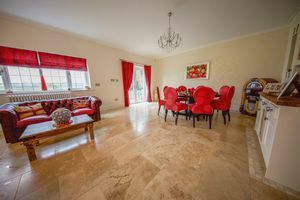 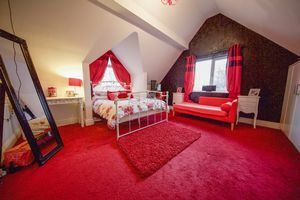 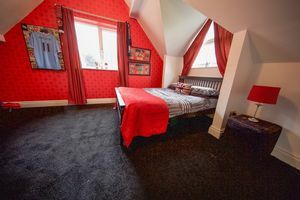 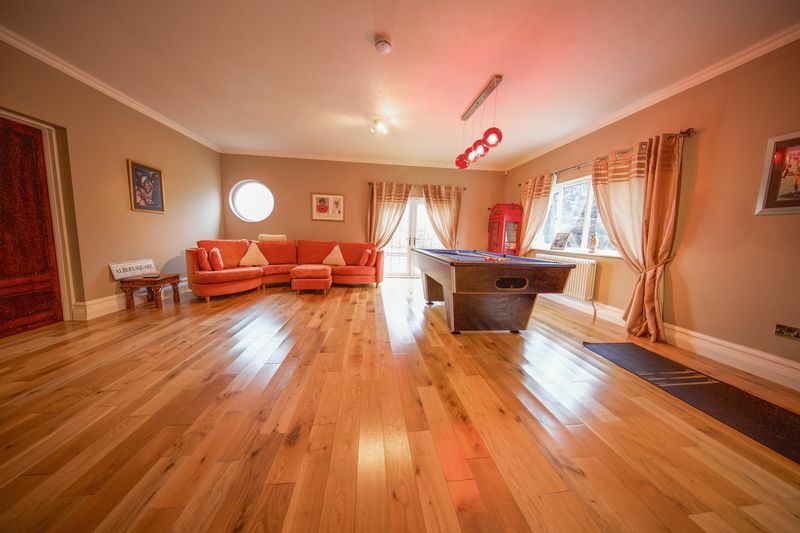 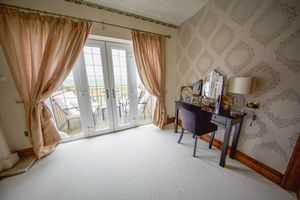 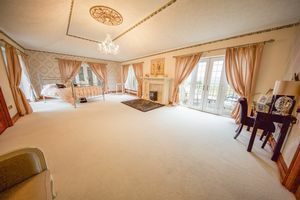 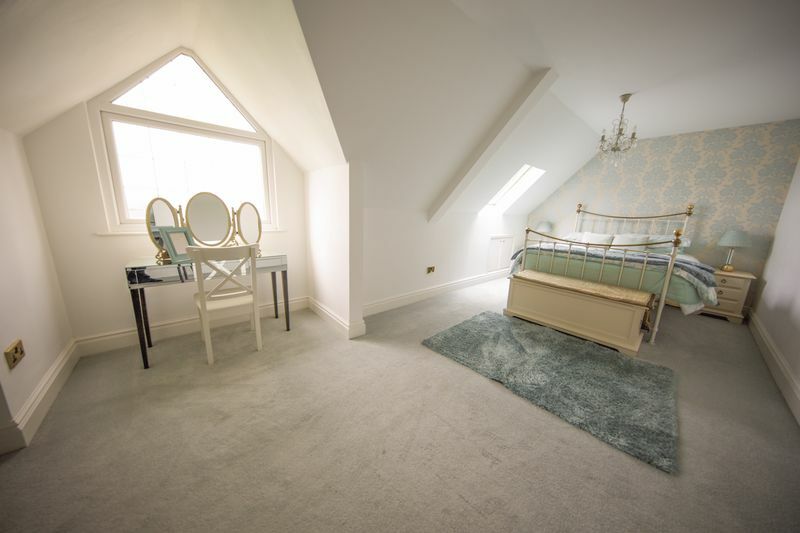 The cloakroom is beautifully fitted whilst the principal reception rooms are the sitting room currently utilised as a sixth bedroom, cinema room, games room, study and living room with views of the landscaped gardens. 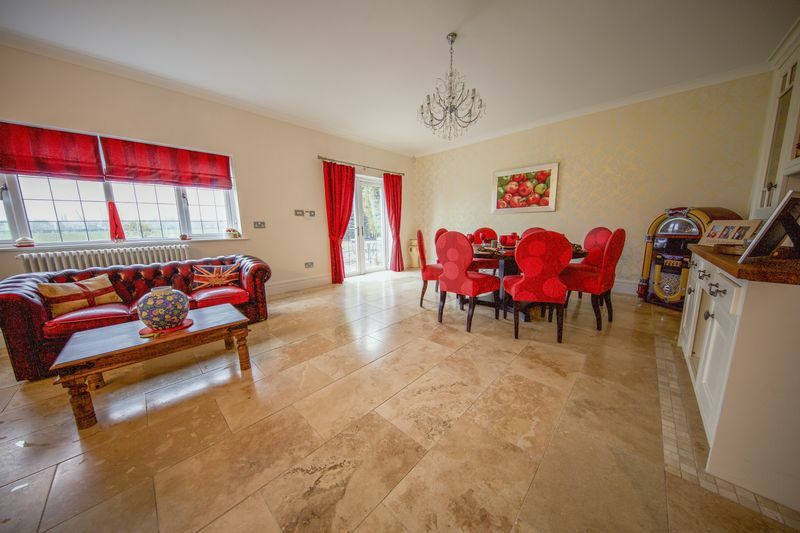 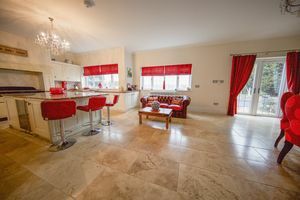 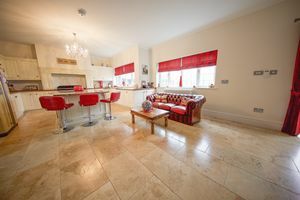 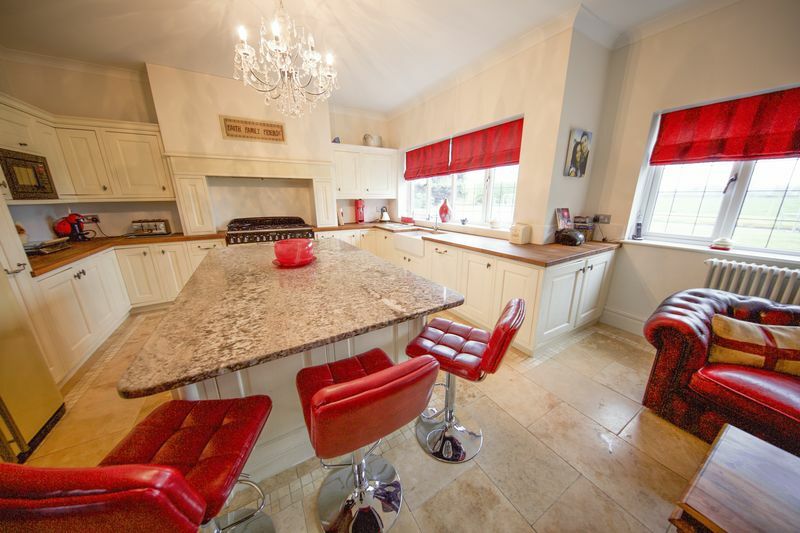 The open plan fitted kitchen with dining space opens to the rear private garden. 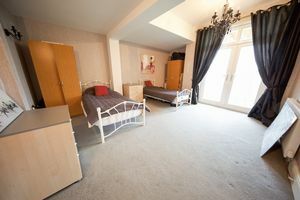 There is also a ground floor guest bedroom, with en-suite facilities. At first floor level the landing focuses on a beautiful atrium space with an ornate light feature. 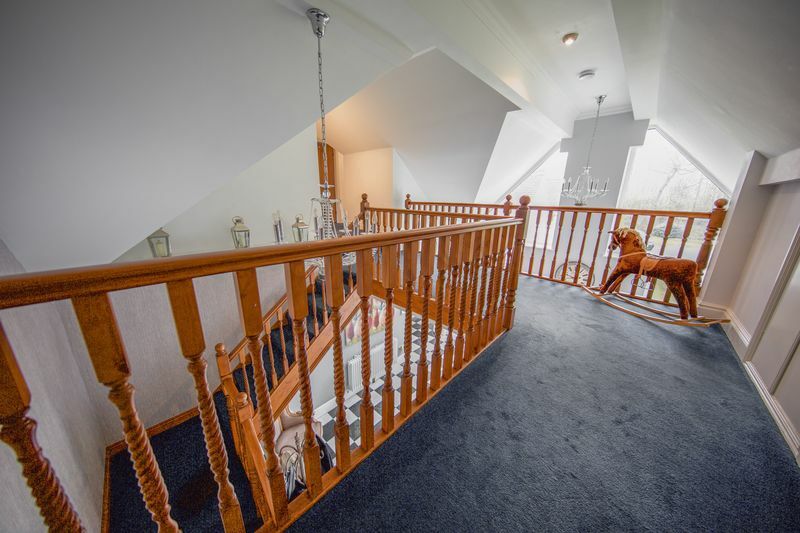 Leading from the landing there are four double-sized bedrooms, two of which benefit from impressive en-suite facilities with a walk in wardrobe accessed via a spiral staircase located off the master. 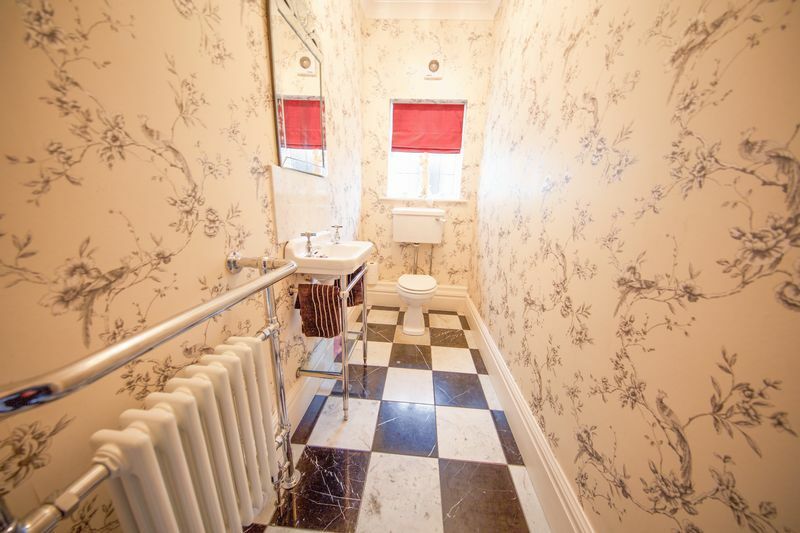 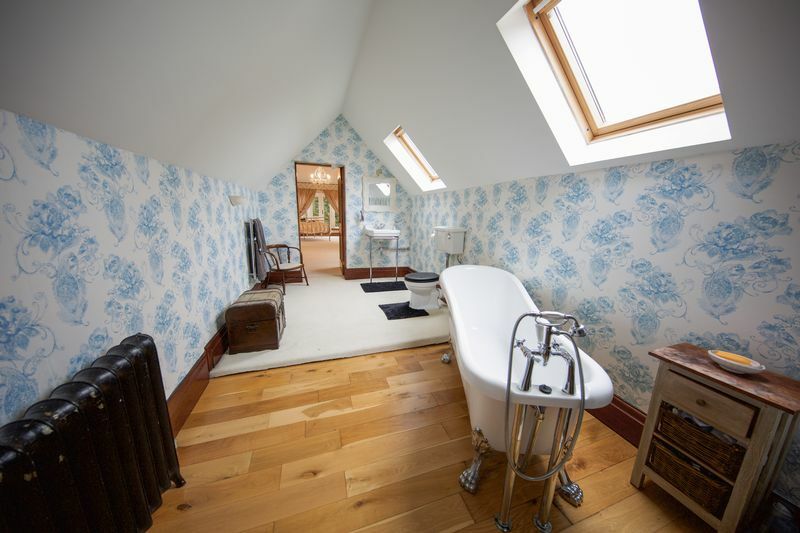 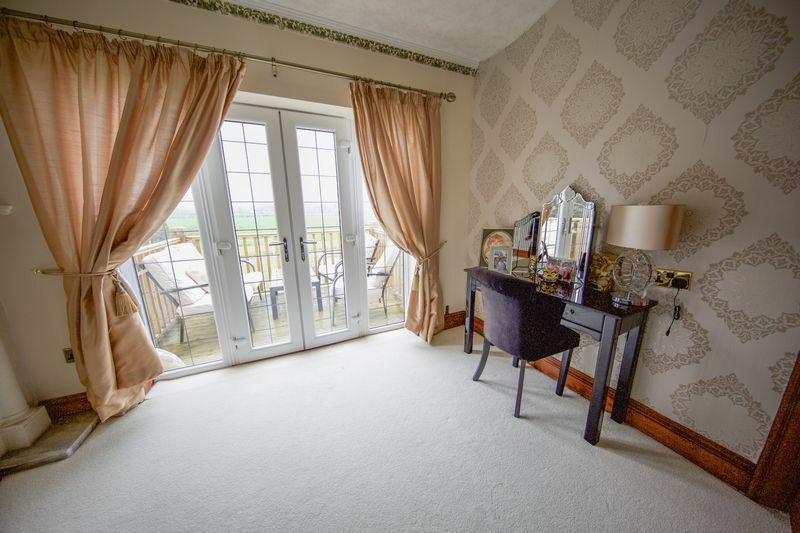 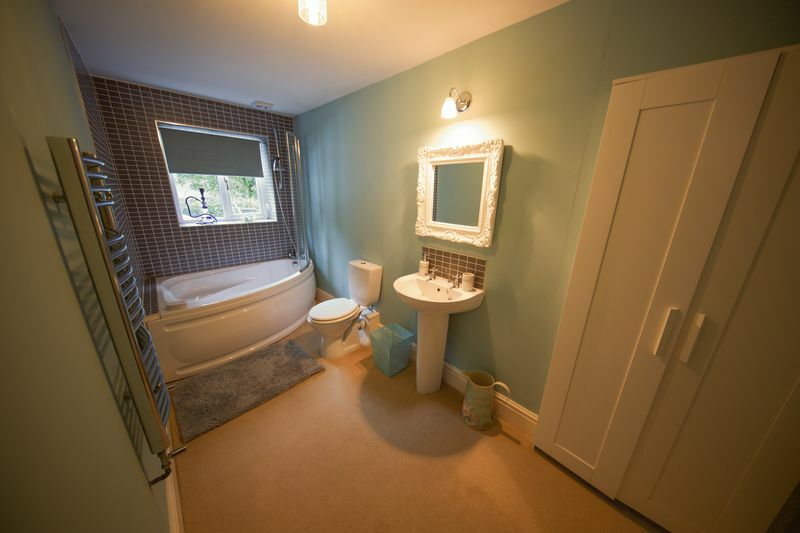 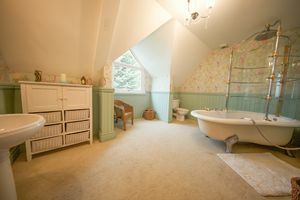 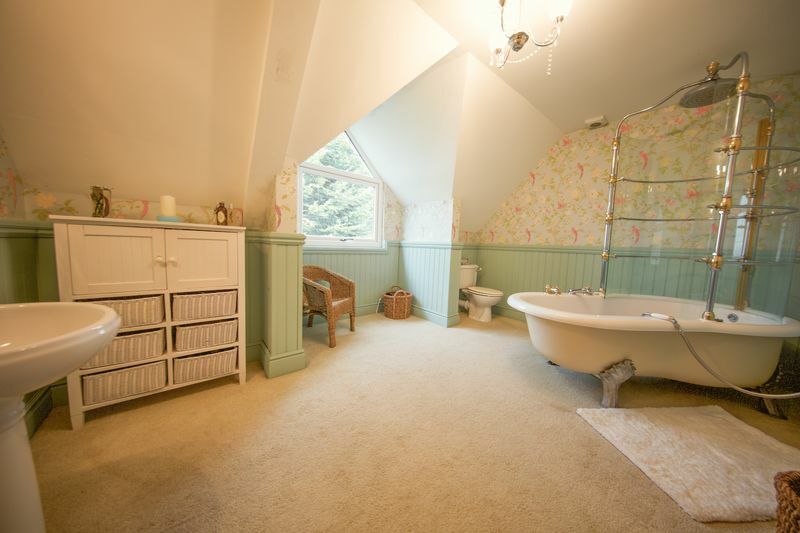 The two remaining bedrooms are served by a large and impressive bathroom suite. 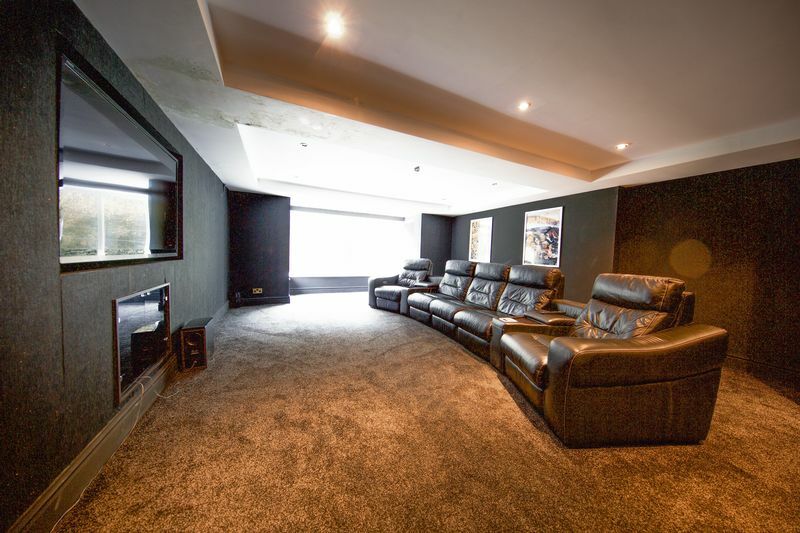 A private viewing is advised to fully appreciate all that is on offer.